Berlin offers a lot of eco-friendly options and I’m everyday grateful for this. 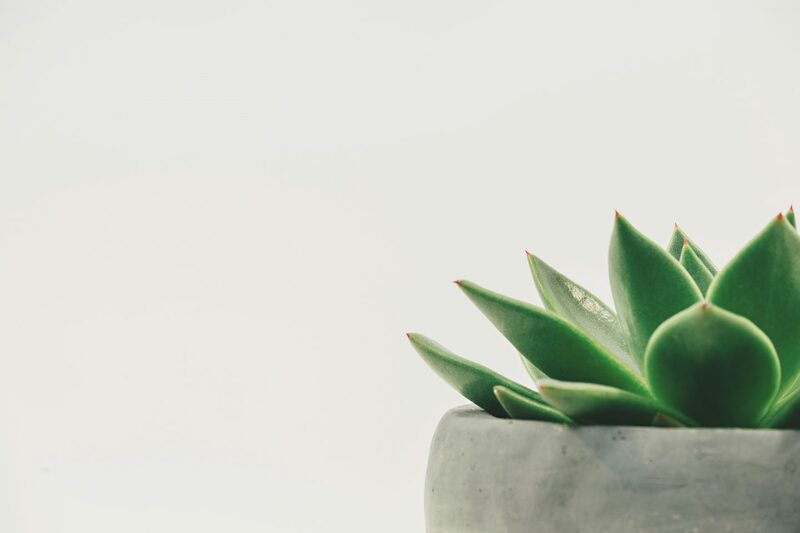 I’ve put together a zero waste shopping guide featuring some markets and stores, their locations and what you can find there. All you need to do is keep your reusable bags and containers ready and bring them with you on your next shopping spree! (I’ll make sure to update this post as I eventually find out about some options I didn’t know about). Ah the first love, you never forget it. Opened back in late 2014 thanks to a crowdfunding campaign, this is the first zero waste store I’ve ever been to 2,5 years ago and that allowed me to start embracing and supporting a life with less trash. You can find so many products in this store, it’s impressive! And their selection is constantly changing and updating. Fruits and veggies, milk and dairies, locally made tofu in compostable packaging, muesli and granola, pastas and rices, nuts grains and dried fruits, toiletries and bathroom supplies, spices, teas and coffee, treats and sweets, various zero waste supplies like jars, stainless steel containers and reusable coffee cups, fresh bread, cleaning products… and the list can go on. Definitely worth the visit. This shop is a fairly new addition here in Berlin. Opened in September 2017 also thanks to a crowdfunding campaign, this cute shop is completely plastic free, palm oil free and cruelty free, has great selection of products and even offers a small café/lounge area at the front where it’s possible to sit down and relax. Local fruits and veggies, big selection of teas, grains and nuts, coffee, pasta and rice, cleaning products, toiletries and personal hygiene products, flours and spices… you name it. The “basics” are all covered, but they also have some products that I’ve never found unpackaged otherwise (like agar agar and nutritional yeast for example). Veganz is a 100% vegan products chain store (how cool is that? ), that also offer a small bulk section. You can simply bring your own containers (they don’t have any stickers to put onto the container once you’ve weighed them, so my advice is to snap a photo of the weight and tell to the shop assistant once you get to the cash register) or use the paper bags available (for free, if I’m not wrong). 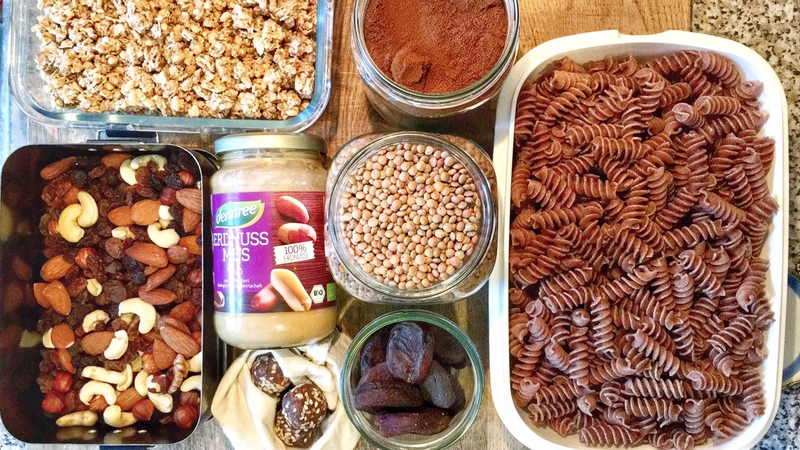 The section is fairly small as it is just a part of the store, but some vegan staples are available (nuts and snacks, pasta and rice, beans, dried fruits). Like in other supermarkets, some of the fruits and veggies are also unpackaged, so you can get those loose as well. Worth the visit if you’re looking for some specific vegan options. They also sell dried soy in paper bags for a good price (if I’m not wrong a 1,5kg bag is around 8,60€. 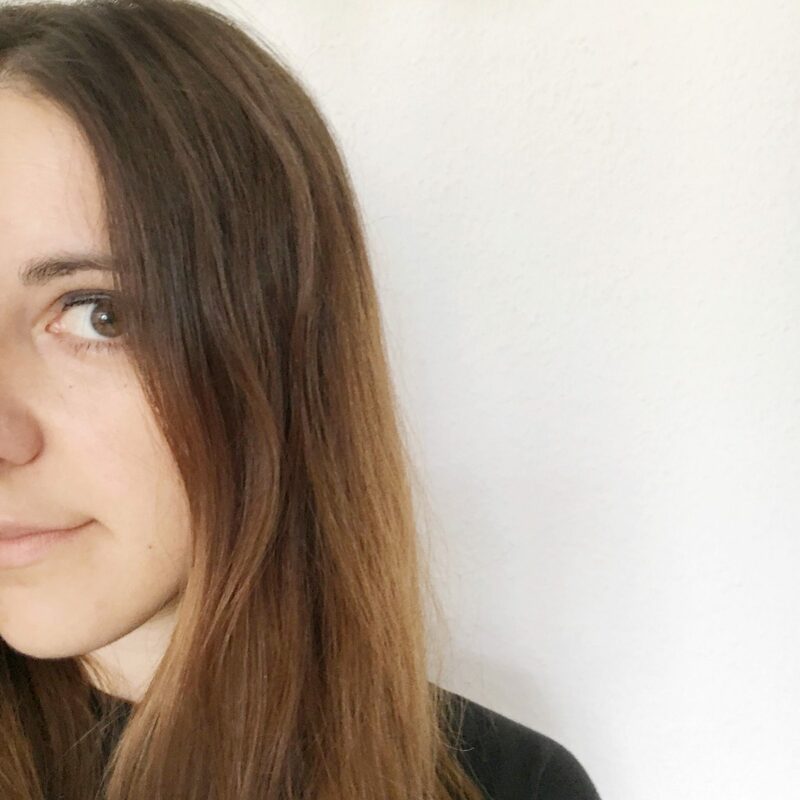 I personally stopped eating so much dried soy because I suspect it was causing me crazy breakouts, but that’s a whole another story). A bit on the more expensive side, so I don’t recommend it for frequent shopping sprees. I have talked about this place already in a post I made about food waste (you can read it here). This store basically sells at discounted prices what other stores reject or won’t sell: products that don’t look “nice”, that are about to expire or just expired but are still 100% good and safe to eat and consume. A lot of stuff comes packaged, but choosing to support a store like this one is for the better because it prevents tons of still good to consume products from being thrown away, trying to encourage consumers to prevent food waste and not to toss away things that are still edible. They even offer a delivery service at home, putting together vegetarian or vegan boxes with different options. Denn’s is a health food chain store, and this particular branch in Kreuzkölln (basically between Kreuzberg and Neukölln) has a bulk section. The section itself is not huge, but there are a lot of options available. Even if you already have previous stickers on your own containers (so, even if you know already how much do they weigh), you have to use their scale and put their own stickers on the containers since they need them once they scan the items at the cash register (I personally find those stickers a bit annoying because they are huge, but at least it’s better than having everything packaged in plastic). The basics are all covered (pasta, rice, nuts, grains, mueslis and granolas, beans, coffee, tea, flours). Bonus: they have different sorts of coffee (even the cereal one, which I love) and delicious energy balls. A bit on the more expensive side, so I don’t recommend it for frequent shopping sprees. There are also a few “covered” markets or markets halls (Markthallen). Same principle as the regular markets, they usually offer a wide range of products and you can simply bring your own reusables with you. For a list of all markets halls click here. 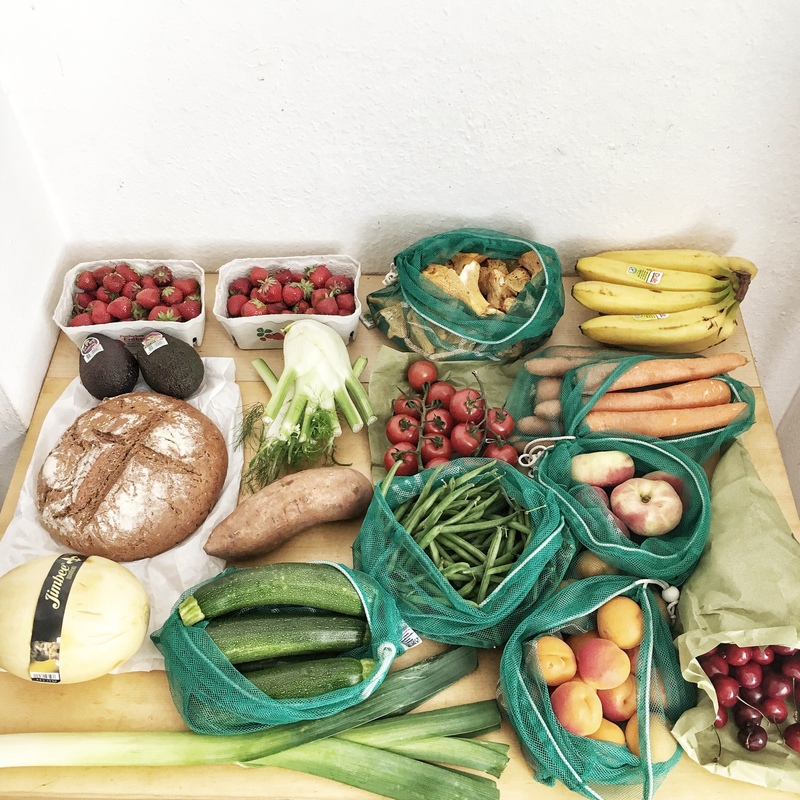 If you don’t have the chance to visit a market or go to a zero waste store, bring your own produce bags in normal supermarkets and use them to shop there. Berlin has a plethora of different supermarkets (Edeka, Rewe, Kaufland, Lidl, Netto, Aldi… not to mention the whole foods ones like Alnatura, Denn’s and Biocompany). 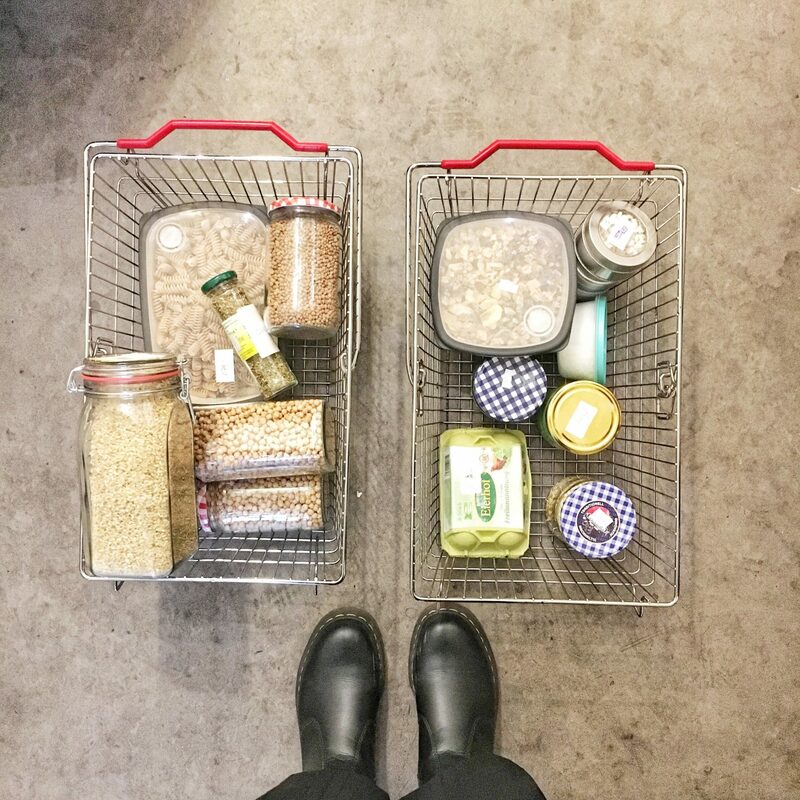 I personally don’t go to supermarkets anymore on a weekly basis, because I have managed to buy most of my staples otherwise (plastic free and or/package free). But I still like to pop at my local Kaufland to get some things every now and then. 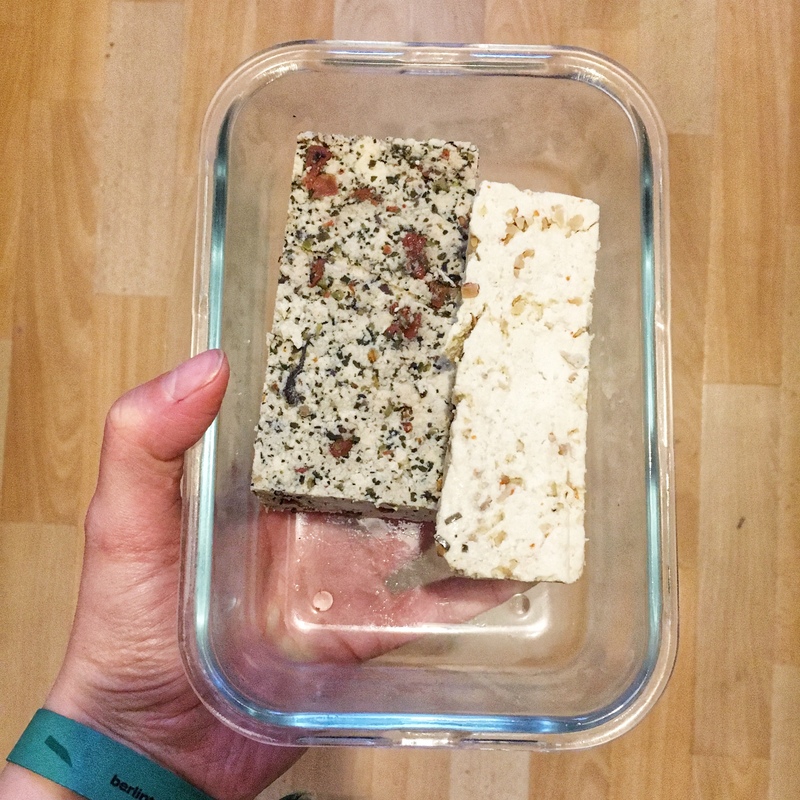 Remember that whenever you visit a store that is not completely package free, you can still find some plastic free options (glass, metal or cardboard)! 🙂 At my local Kaufland, a good part of the produce is unpackaged, so if I can’t make it to the market, this is always a good backup solution (probably it is because I am used to it, but I find shopping package free at my local Kaufland easier than in other supermarkets). The baked goods aisle is always self service, so instead of using their plastic baggies, you can bring your own cotton bag when shopping for bread (basically every supermarket offers a freshly baked goods section, and some places even have a slicing machine on spot, which is a plus). Of course, aside from produce and bread, you can find lots of other things in recyclable, plastic free packagings: for example, Barilla pasta usually comes in cardboard (if it wasn’t for that little annoying transparent plastic window…), yoghurt in glass jars (with deposit, so you can get your money back if you bring the containers back to the store; this system also exists for plastic bottles, glass bottles of beer and soft drinks and soft drinks cans), oats in paper packaging, eggs in cardboard boxes (some supermarkets even sell them loose), frozen fruits and veggies in cardboard, beans in cans or glass jars, etc. My local Kaufland even has a small discounted section where all the goods that are about to expire are collected and sold at a very low price (almost nothing in here comes plastic free, but I always browse this section to check if there’s anything I might need or like, otherwise this stuff will be just thrown away at that would be a huge waste). 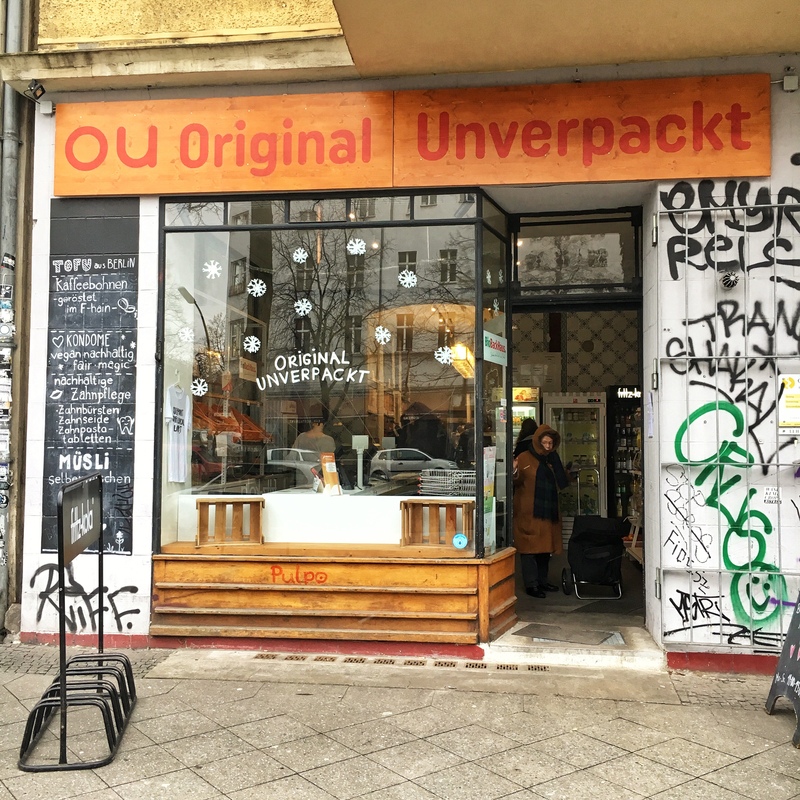 If I find myself unprepared and haven’t managed to get any food ready to bring to work or with me if I’m headed out, I always stop at Backwerk (I personally always stop to the one in the Alexanderplatz station because it’s on my way to work). This little bakery chain store offers freshly baked products and sandwiches from the counter. Everything is self service, so you can either use the paper bags they provide or (my favorite way) bring your own lunch box (I got many compliments a lot of times for doing it and that made my day). Either way, you just need to go to the cash register and show them what you bought. Vegan options available. There is also a coffee machine (at least in the Alex branch) so you can bring your own reusable cup for a coffee or tea on the go. I visited this cute handmade cosmetics store during a zero waste meet up and loved it from the very first minute (currently waiting to finish up some products so I can finally try theirs). Their motto is “let’s refill, don’t landfill”. 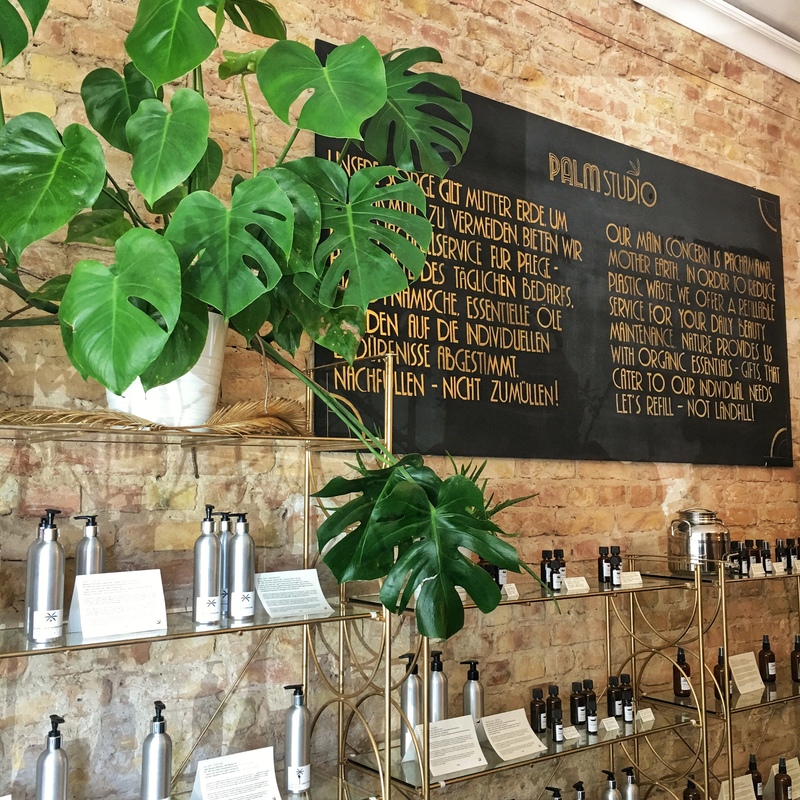 They sell organic basic beauty maintenance products (haircare, skincare, soaps as well as oil blends and essential oils) and everything comes in refillable stainless steel containers. Once the product is used up, the containers can be brought back to the store to be washed, disinfected and refilled over and over again. Because taking care of ourselves doesn’t necessary have to mean creating plastic waste. Definitely worth the visit. Plus, the owner is such a nice person to talk to, she’ll answer to any question you might have. There is no need for big introductions because Lush is a very popular brand in several countries around the world that sells fresh handmade cosmetics. You can find products package free or eventually in containers that can be brought back to the store to be reused. Everything is vegetarian (some products even vegan), cruelty free and the packaging is reduced to the minimum. There are several branches in Berlin, which you can find here. This store sells oils, vinegars, wines and spirits on tap (this is what the name actually means). Not sure if you can bring your own bottles, but eventually glass bottles are on spot. There are different stores in Berlin, which you can find here (just type in your postal code and it will show the closest shop to you). 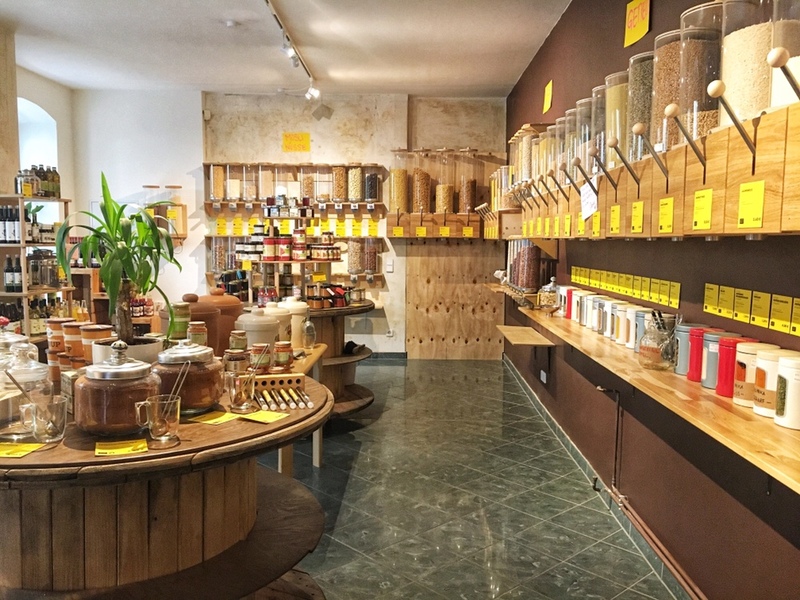 Vegan store in Neukölln that offers a bulk section (grains, beans, dried fruits and nuts, pasta, different kinds of seeds, soy products). 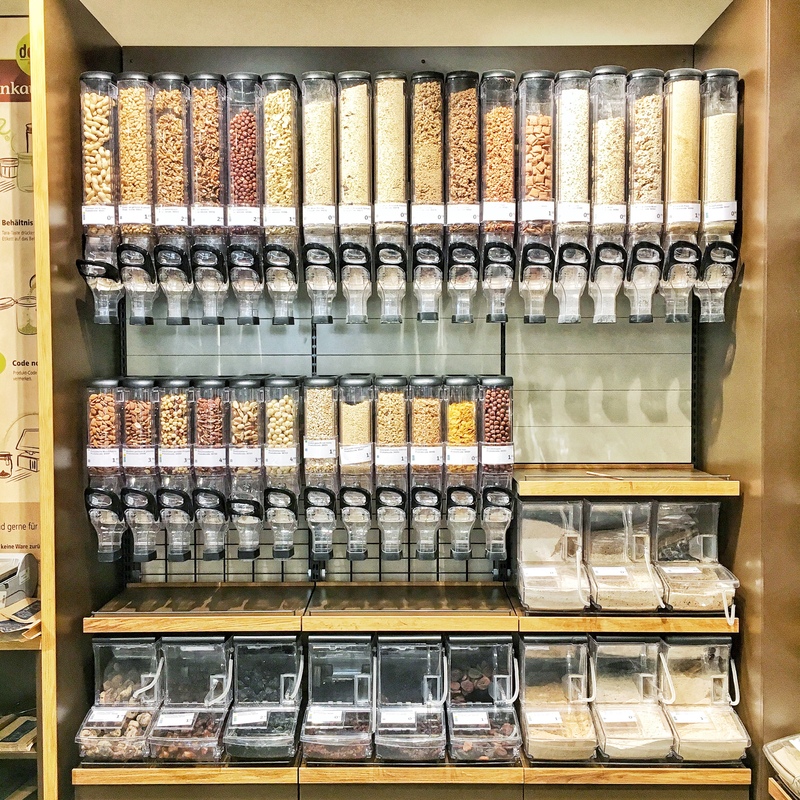 Whole foods chain store with a bulk section offering rice, pasta, grains, muesli, nuts (from what I could read online, plastic bags were completely banned in this branch, yay!). 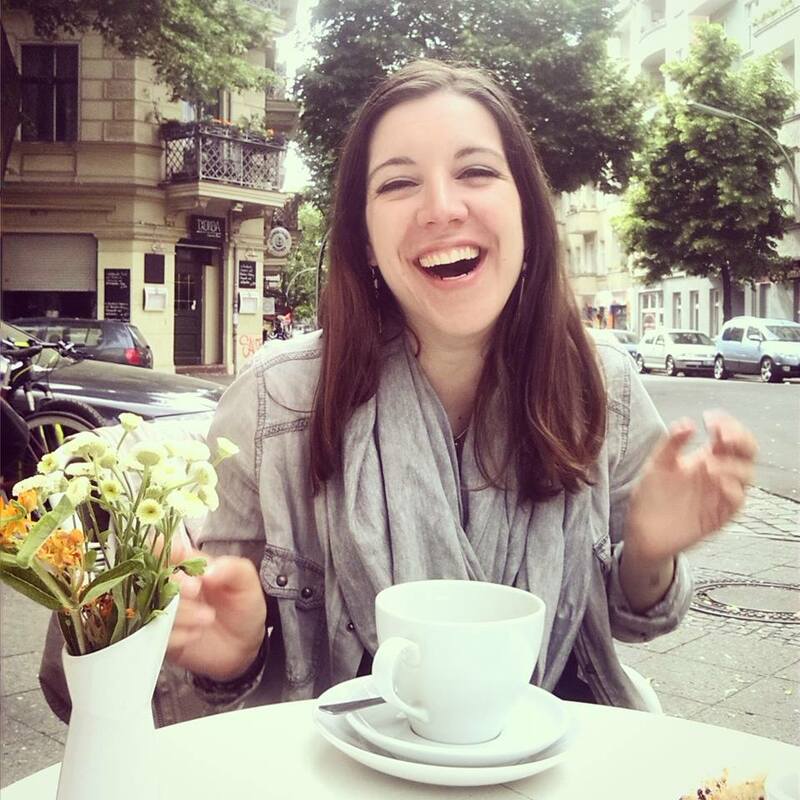 I hope this Zero Waste Guide I`ve put together will help reduce your waste, whether you live in Berlin already or you are planning to visit. Please make sure to let me know if there is anything I haven`t talked about so I can update this guide for future references. Previous Post Zero Waste doesn’t mean perfection. 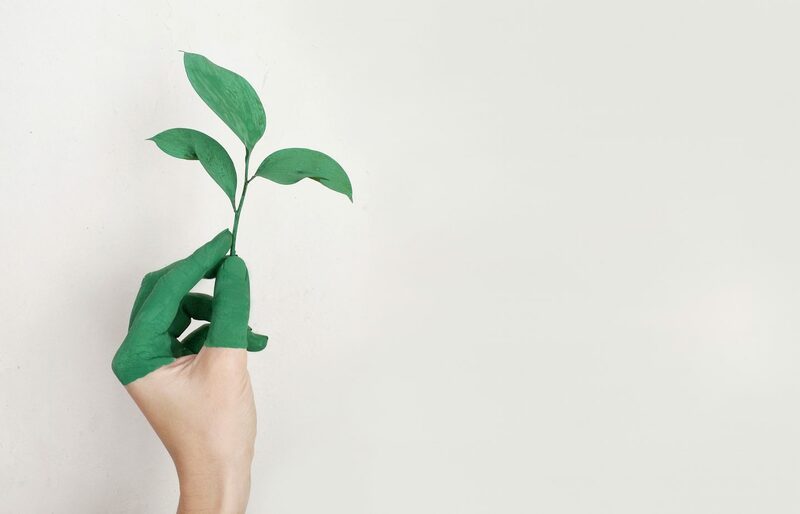 But can you pledge to go plastic free this month? Thanks for a very useful post! I am looking currently into the package free shops and not sure where to go. Just wanted to clarify, which you like the most and where your money goes farther? There must be a price difference. Thanks for your reply! I am so happy to hear that you’ve found this post useful! 🙂 Personally the one that I visit the most is with no doubt Original Unverpackt. That is the one that is most convenient for me, especially considering in terms of getting there. Prices are okay (if I remember correctly a couple of things might be slightly cheaper at Der Sache Wegen, but in general prices are similar if not the same ones) and usually my partner and I shop there every 1,5/2 months stocking up and we are good to go with about 40-50 € (of course that depends on what we have to get but you get the idea). When it comes to fruit and veg though I prefer the local weekly market because prices are very cheap! The market I go to is mostly a Turkish one, which can be good (very cheap prices and lots of unpackaged goods) but bad too (many imported products as well, not everything is locally grown and seasonal). We went to DER SACHE WEGEN and we liked this more, more space, more freedom, got some stuff from there and loved the overall experience more. So far pasta and rice is our staple foods we are looking. Your post has been more than helpful! Happy to hear this was helpful!! 🙂 have a great day!